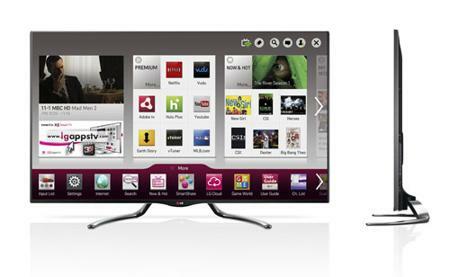 CES 2013 is the platform where LG will state their intention in the TV arena, where that is when they unveil their new range of Cinema 3D Smart TVs. It is said that the 2013 range will deliver easier content access alongside sharing capability, and when coupled with an updated Magic Remote, one ought to be able to experience a simplified, intuitive user experience. It does not matter on the kind of budget that you have (or don’t), LG should have a little bit of something for everyone. Some of the models that we do know which will break the bank and will be paraded there include LG’s 84-inch Ultra HD and 55-inch OLED TVs, where the latter is said to cost approximately $10,000 a pop after conversion from the listed price in South Korea. CES 2013 looks set to be a blast, as with all other editions of CES in the past. What kind of newfangled technology can we look forward to in a fortnight’s time as CES goes into full swing at Las Vegas? 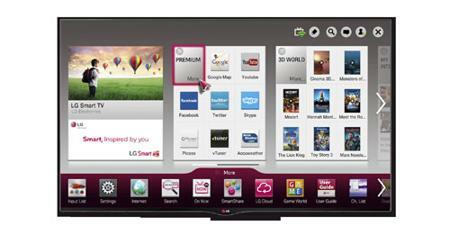 For starters, we do know that LG Electronics will be introducing an extended Google TV range, where the new models will be known as the GA7900 and GA6400, and these bad boys will deliver an outstandingly intuitive user experience at a size that ought to suit everyone, while meeting more consumers’ expectations than ever before. You can say that the cost of living has increased tremendously in just about every part of the world over the years, and having said that, more and more people cannot afford to get a place of their own, but will have to rent a room or a small apartment. Landed property prices have skyrocketed simply because no one makes land any more, and apartments as well as condominiums are not exactly the cheapest living quarters either. In land scarce countries like Japan and Hong Kong, you would be surprised to check out the living areas if you happen to live on a landed property all your life. This means consumer electronics that are released will need to be as compact as possible, and yet deliver the most bang for your buck. Sceptre does good this time around with their 32-inch LED HDTV that boasts of an integrated DVD player to further help you save space in your living room. Danish audio visual maestros Bang & Olufsen has come up with their very first foray into the Smart TV arena – with the introduction of the BeoVision 11. 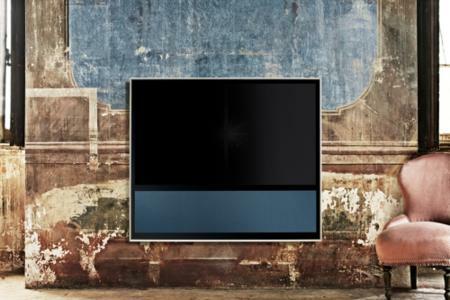 Arriving in US showrooms later this month, the BeoVision 11 is said to set new standards in the marketplace that boasts of promises to deliver rich sound, design perfection, full connectivity and best-in-class video experience. The BeoVision 11 is said to come with an all-in-one entertainment and information hub, resulting in a signature balance of form, function and technology. No, what you read above is definitely not a typo. 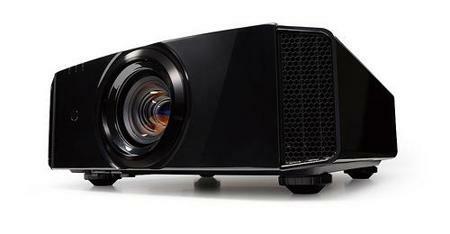 After all, I would suppose that it is a bunch of creative brains behind the JVC Procision DLA-X95R home theater projector that has called it so – merging the words “professional” and “precision” together. Having said that, is your interest not piqued that you want to find out more about the JVC Procision DLA-X95R? I sure do, so why not let us take the plunge right after the jump to read more about it? I love a spectacular home theater experience. There is nothing like a huge flat screen, with a fabulous sound system, some popcorn popping on the stove, all while I am in the comfort of my favorite footie pajamas. What could be better than that? How about an even bigger TV? Like the biggest one on the planet? Standing in at almost 4 feet tall with a glorious span of 6 feet and 8 inches wide, the 90″ AQUOS LED TV now has the distinction of being the world’s largest. Its picture quality is as stunning as its size, displaying crisp and clear content at the highest HD resolution available of 1080p. LG Electronics of South Korea has just ushered in a spanking new era of TV after unveiling the world’s largest and slimmest 55-inch OLED TV, where the event took place in Europe at Monaco’s world famous Salle des Etoiles. This particular unveiling happened right in front of an audience of 400 dealers, journalists and special guest F1 champion Sebastian Vettel, where LG officials has a mission statement in their career to churn out the most advanced commercial OLED TV in the market. I suppose they have done a pretty good job at it, and LG is also proud to be the first company to deliver these TVs to European consumers sometime in the second half of 2012. How I remember the good old days. I hate to admit it but I am in fact, old enough to remember when television sets were furniture. When the set was actually built into a beautiful cabinet and sat in the living room as part of the landscape, unlike now, where our TV’s are becoming smaller and flatter and blacker, of course what has become of the tangled mess of wires and cables and set top boxes and gaming consoles and disc players? Are they stacked up beside your innocuous flat panel? You’re not alone. Please welcome Ikea’s foray into the smart television game. A brand new entertainment option that remembers the good old days with a twist, the Uppleva (pronounced oop-lee-ev-ahh) and say it like you’re Swedish, not because you have to, but because its fun. The Uppleva is a television cabinet hybrid with a built in blue ray player, wireless subwoofer, wire hiding access panels and, special hardware-hiding doors that your included remote control will penetrate without having to leave the doors open.